In recent times, former and current NCAA athletes have noticed a myriad of similarities between themselves and avatars depicted in videogames. Knowing full well no release was either presented or signed; athletes find themselves wondering, “What gives these videogame manufactures the right to use my likeness?” The better question is: Who granted those rights? Based on lawsuits filed in 2009 and 2010, the consensus is that the NCAA licensed the right to use player likenesses to Electronic Arts (EA) for its use in videogames. 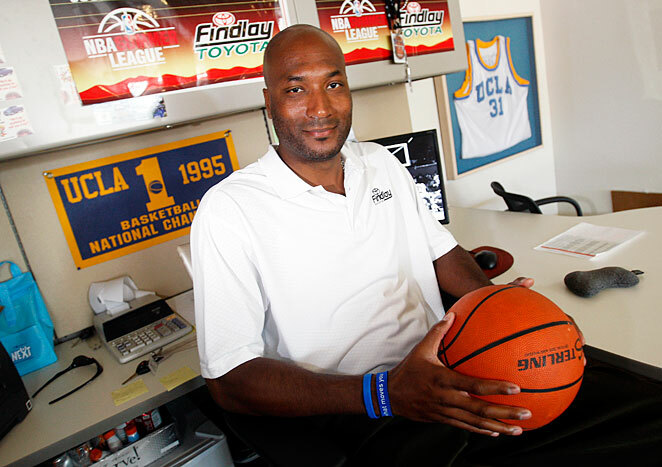 In his lawsuit, O’Bannon not only named the NCAA but he also named Electronic Arts and the Collegiate Licensing Company (CLC), which is the licensing arm for the NCAA. According to O’Bannon, the NCAA, through CLC, granted to the videogame manufacturer, rights to use the names, images and likenesses of former Division I football and men’s basketball players in various commercial ventures without the players’ permission and without providing the players with compensation. Sam Keller, a former football player who attended both Arizona State University and University of Nebraska, filed a nearly identical lawsuit. Keller’s lawsuit adds the allegation that EA intentionally circumvented NCAA rules and regulations that specifically prohibit the use of student-athletes’ names in commercial endeavors by allowing videogame players to upload team rosters from a third party who created the “EA Locker” feature, which applies student-athlete names to their corresponding videogame avatars, within a matter of seconds. In 2010, former Rutgers University quarterback Ryan Hart, joined by former University of California quarterback Troy Taylor, also filed suit against EA, CLC and the NCAA alleging similar violations. That same year, former University of North Carolina football player Byron Bishop filed a class action suit against EA, CLC and the NCAA, charging that the defendants conspired to violate the NCAA’s bylaws prohibiting the for-profit use of amateur athletes when they included likenesses – but not names – of current athletes in NCAA-branded videogames. EA produces videogames under the names, NCAA Football and NCAA Basketball. These games, in particular, depict virtual basketball and football games between NCAA member-institutions that feature avatars that are apparently inspired by former and current players. This conclusion is drawn based on the fact that the avatars’ facial features, height, weight, athletic abilities, signature moves, position on the team, jersey number and even wrist-band placement, are all easily matched up with real players. As any college-bound athlete knows, before you can suit up at a Division 1 school, you have to sign a few documents. Most notably among them is the Form 08-3a Student Athlete Statement. By signing, students affirm that they understand that they are prohibited from profiting from the commercial use of their names, pictures or likenesses while in school. In addition, at Part IV of the form, the students expressly authorize the NCAA and the CLC to use the student-athlete’s names or pictures in accordance with Bylaw 12.5, including promoting NCAA championships or other NCAA events, activities or programs. Bylaw 12.5 expressly limits the NCAA’s right to use the names or pictures of enrolled students. However, this bylaw does not place a time limit on the NCAA’s right to use names or pictures. It follows then, that likenesses captured during college are probably subject to NCAA rules, which expressly permit the NCAA to license the use of likenesses to entertainment outlets…like Electronic Arts (among others). If Student-Athletes Already Assigned Certain Rights to the NCAA, Why are Former Student-Athletes Suing the NCAA? First of all, not all of the plaintiffs in those cases accept the argument that the Student Athlete Statement extends to the NCAA the right to license student images to videogame manufacturers. Some believe the forms signed permitting an athlete to play college ball were limited in scope to issues of cable television syndication, re-airings of bowl games and other similarly newsworthy sporting events – not the creation of a videogame. Still others argue that even if the Student Athlete Statement granted the NCAA rights to license player images without limitation, the license cannot last forever – it must either terminate or be revocable. Recall that more than 10 years passed by the time Ed O’Bannon saw his image from 1995 on a videogame. Is this reasonable? Does the NCAA own your image forever? In most if not all of these cases, the players argue that the use of their images in these videogames constitutes a misappropriation of likeness, which violates their right of publicity. These rights may be violated by the use of a person’s name or biographical information in such a manner that more than a de minimis number of people recognize the athlete. In each of the NCAA-player lawsuits, the plaintiffs argue that both lesser known student-athletes and prominent student-athletes are all readily identifiable. It is believed that this level of recognizability exponentially increases the value of each videogame. As a result, the players are entitled to a share in the profits – or, are they? How are the Videogame Manufacturers Justifying their Actions? In defense of the NCAA player lawsuits, EA presents multiple points in an effort to justify their use of player likenesses. One of the most compelling defenses is that the videogames are protected by the First Amendment of the United States Constitution. Specifically, EA argues that although the student-athletes’ likenesses are “referenced” in the creation of the videogames, the players’ likenesses are simply “raw materials,” or mere inspirations, used in the development of a final product, which is wholly separate from its component parts. EA explains that its games are unique because they allow the consumer to control, for example, coaching decisions, how the avatar will perform, who the avatar will play, whether the avatar stays in its designated position on the field (or on the court), and, among other things, whether the avatar’s skill sets will be utilized in a manner similar to the student-athlete while in school. (This defense is commonly referred to in the legal community as the transformative use doctrine. The transformative use doctrine has been relied upon for many years by those who engage in the manufacture of consumer goods that may remind the purchaser of someone or something.) EA further argues that the level of control exercised by the videogame player adds significantly to the level of fiction that exists in videogames. As a consequence, the avatar is not the student-athlete. To the contrary, it’s just a game. In the case of Sam Keller, the court concluded that EA’s defense was unpersuasive. There, it was determined that the videogame manufacturer was essentially exploiting the attributes of the athletes without their permission and without compensation. Perhaps the fact that the avatars were easily identifiable as current and former NCAA players played a larger part in this court’s analysis than it did in Ryan Hart’s case. In stark contrast to the Keller lawsuit, the Ryan Hart case ended up finding that the videogame manufacturer’s use of the student-athlete’s likenesses as raw materials was protected by the Constitution. The rationale there was that the avatars and scenarios were designed to be manipulated by the consumer, which is sufficient to find a basis for constitutional protection. If Student-Athletes Succeed Against the NCAA, What’s the Practical Impact for the Rest of Us? A similar issue recently arose in the case filed against game developer Rockstar Games and publisher Take-Two Interactive. In 2012, Ex-Cypress Hill member, Michael “Shagg” Washington, lost his lawsuit against the makers of Grand Theft Auto: San Andreas. In July 2010, Washington’s nephew reportedly showed him some of San Andreas’s gameplay. Washington found the main character Carl “CJ” Johnson to be a clear representation of himself, and he started putting together a lawsuit over fraud, misappropriation of likeness, and infringement. In his lawsuit, Washington produced evidence that he was invited to attend a meeting with game developers to talk about his life as a gangster. In addition to taking the meeting, Washington even gave them a photograph, which the designers maintained in their files. More importantly, the videogames’ credits reference Washington as a model. Despite this evidence, the court agreed with the videogame developers, concluding that the videogame is protected by the First Amendment of the Constitution. With regard to the NCAA lawsuits, if successful, the lawsuits could cost EA dearly – who will buy their videogames if they lack the level of realism players have come to expect? Moreover, a finding in favor of student-athletes could include a finding that EA share its profits with all athletes, including current student-athletes, a notion that flies in the face of current NCAA policy. 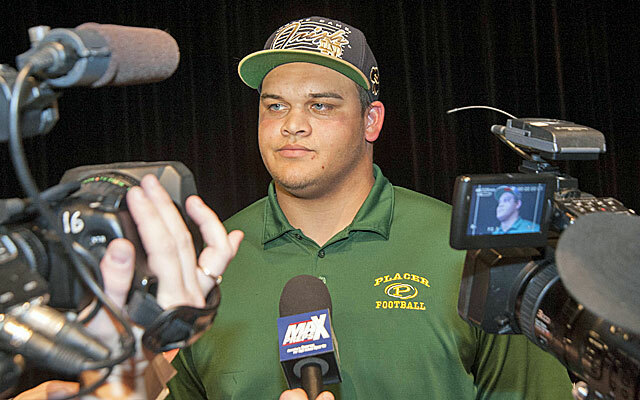 On February 6, 2013, Eddie Vanderdoes, a five-star defensive tackle from Auburn, Calif., signed a National Letter of Intent to attend the University of Notre Dame. Recently, Vanderdoes experienced a change of heart and decided he wanted to attend UCLA, a school closer to home. While under no obligation to release Vanderdoes from his commitment, Notre Dame ultimately chose to release Vanderdoes from the National Letter of Intent recruiting ban, but not release him from rest of the National Letter of Intent provisions. This allowed Vanderdoes to be recruited by and sign with UCLA, but still be subject to the basic penalty since he was not granted his full release (an institution's ability to contact a prospective student-athlete is tied to receiving athletics aid while a prospective student-athlete's eligibility is tied to the National Letter of Intent). The purpose of this article is to explore the options Vanderdoes, or any other National Letter of Intent signee would have if they desire to be released from his or her agreement. Background: The National Letter of Intent (hereinafter “NLI”) is a binding agreement between a prospective student-athlete and an NLI member institution. When this agreement is signed by the respective parties, there is an agreement for a prospective student-athlete to attend an institution full-time for one academic year in exchange for the institution agreeing to provide athletics financial aid for one academic year (two semesters or three quarters). The NLI is a voluntary program with regard to both institutions and student-athletes. No prospective student-athlete or parent is required to sign the NLI, and no institution is required to join the program. Penalties for Non-Fulfillment: If a prospective student-athlete does not attend the signing institution or attends that institution for less than one full academic year, and enrolls at another NLI institution, he or she may not represent the second institution in intercollegiate athletics competition until completing one academic year in residence at the second NLI member institution. Additionally, the prospective student-athlete will lose one season of competition in all sports. While serving the NLI penalty, the prospective student-athlete is permitted to practice and receive athletics aid, if allowed by the institution. This penalty is specifically addressed in the NLI agreement the prospective student-athlete and the institution sign. If a prospective student-athlete fails to enroll at the signing institution, he or she has not fulfilled the NLI agreement to attend the signing institution for one academic year. The NLI would remain binding. Release Process: In order for a prospective student-athlete to be released from an NLI, the prospective student-athlete must submit the NLI Release Request Form (“Release Request Form”) to the signing institution and the NLI office. The release instructions for a prospective student-athlete can be found here. The website will feature a dropdown list for the prospective student-athlete to choose from regarding the reason for the release and an additional comment box for necessary details. The Release Request Form can be found here. The submitted Form will be automatically sent to the institution’s director of athletics and designated compliance administrator. The prospective student-athlete will also receive a confirmation e-mail that the Release Request Form has been submitted. Once the Form is submitted, the institution has 30 days to submit a response. The institution can make one of three decisions: (1) a complete release; (2) no release; or (3) no release with the recruiting ban removed (by removing the NLI Recruiting Ban, contact with coaches is permissible without granting a Complete Release. The NLI Recruiting Ban does not need to be checked on the Release Request Form if granting a complete release). Once the institution submits the release request back to the prospective student-athlete and the NLI office, the NLI office will update the release status visible to member institutions on the NCAA Eligibility Center member institution portal. If a complete release is granted by the institution, the release form and/or the release status on the portal is the confirmation needed for another institution that may have an interest in that prospective student-athlete. Should the deadline expire with no response from the institution, the prospective student-athlete will be released from the NLI agreement by the NLI office; however, this is not an automatic complete release. The institution will be contacted by the NLI office before any action to determine why the institution did not respond. If circumstances exist preventing the institution to respond within the designated timeframe, an extension may be requested to the NLI office. In August 2011, NCAA President Mark Emmert met with presidents and chancellors of member institutions to address current issues in intercollegiate athletics. One of the primary points of concern was refocusing the association's enforcement program to provide stronger disincentives for rules-violations. As a result, the NCAA Working Group on Collegiate Model - Enforcement was commissioned and charged with recommending revisions to the current enforcement program. The Working Group made many significant recommendations, including: (1) the introduction of a four-tier violation structure; (2) the adoption of penalty guidelines for core penalties; (3) expansion of the Committee on Infractions; (4) streamlining case review; and (5) providing higher expectations of accountability for both head coaches, athletic directors and institutional presidents or chancellors. These changes, which are effective on August 1, 2013, have been the topic of great discussion among the membership, the media and the general public. However, one important aspect of these changes has been overlooked—what effect will these changes have on current student-athletes? One area the Working Group discussed in the report was the fact that institutional penalties that arise from an enforcement case often have a direct or indirect impact on current student-athletes who may have no culpability with the violations found. The impact can come in the form of competition limitations (i.e. postseason bans) and scholarship reductions (i.e. an indirect impact by limiting the number of scholarship student-athletes a program may have on its roster). However, the Working Group also noted that the membership identified that the penalties that have the most deterrent effect are also competition limitations and scholarship reductions. Earlier this month at the 2013 NCAA Convention, Division I of the NCAA adopted 25 of 26 proposals aimed at establishing a streamlined rulebook with a focus on more meaningful, enforceable, and student-athlete welfare-oriented legislation. NCAA president Mark Emmert stated, "these new rules represent noteworthy progress toward what can only be described as more common sense rules that allow schools more discretion in decision-making...This vote by the Board of Directors refocuses our attention on the things that really matter, the core values of intercollegiate athletics.” The deregulation included several areas of NCAA legislation, including NCAA Bylaw 11 (personnel), 12 (amateurism), 14 (recruiting), 15 (financial aid), and 16 (awards, benefits and expenses). The proposals will be effective on August 1, 2013. While much of the talk surrounding deregulation has focused upon the impact from the perspective of an institution's administrators and coaches, little discussion has occurred on the impact deregulation will have on both prospective and current student-athletes. 11-2: will eliminate the rules defining recruiting coordination functions that must be performed only by a head or assistant coach. Student-Athlete Impact: Paired with Proposal 13-3, this Proposal will likely increase the amount of communications between a prospective student-athlete and an institution by allowing any institutional staff member the ability to contact and evaluate recruits. Prospective student-athletes often grow tired of the recruiting process, and this change could potentially further that burden. Off-campus recruiting activities, however, will still need to be conducted by coaches. 11-3-B: will prohibit the live scouting of future opponents except in limited circumstances. 11-4: will remove limits on the number of coaches who can recruit off-campus at any one time. Student-Athlete Impact: Prospective student-athletes will likely see an uptick of coaches visiting their high schools during selected recruiting periods. With the NFL draft fast approaching, future professional football players are beginning to organize parties and/or other events to commemorate their accomplishment. Oftentimes, former teammates of future professional football players—those with remaining collegiate eligibility—are invited to attend an event. While there is no NCAA legislation preventing a current student-athlete from attending an event held by a former teammate, it is important for current student-athletes to understand that rules-violations may occur if they do not pay for the benefits or services they may receive. The most common scenario resulting in NCAA rules-violations is when a current student-athlete attends an event at the invitation of a former teammate without knowledge that the event is being financed by a sports agent, marketer or financial advisor. For example, travel expenses, lodging, meals, entertainment and other expenses provided to a current student-athlete at no charge and financed by an individual such as a sports agent, marketer or financial advisor would result in a violation of NCAA Bylaw 12.3.1.2 and could jeopardize a current student-athlete’s eligibility. With March Madness fast approaching, fans across the country are following NCAA men's basketball a little bit more closely as they prepare to fill out their "brackets" and begin to enter into various tournament "pools." In fact, the NCAA men's basketball tournament has become so big the FBI expects illegal gambling could reach upwards of $2.5 billion dollars. As a result, it is important for both prospective and current NCAA student-athletes to be educated regarding NCAA Bylaw 10.3 (Sports Wagering Activities). 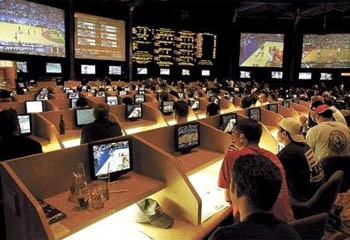 NCAA Bylaw 10.3, as applied to student-athletes, forbids knowing participation in sports wagering activities or providing information to individuals involved in or associated with any types of sports wagering activities concerning intercollegiate, amateur or professional athletics competitions. A prospective or enrolled student-athlete who is found in violation of Bylaw 10.3 would be ineligible from further intercollegiate athletics competition, subject to an appeal to the Committee on Student-Athlete Reinstatement. If a student-athlete engaged in activities designed to influence the outcome of an intercollegiate contest or activities that will affect the gambling line or gambles on the institution he or she attends, that student-athlete would lose all remaining eligibility in all sports. If a student-athlete participates in another sports wagering activity, the student will be ineligible for a minimum period of one year. If the student-athlete later engages in another sports wagering activity, the student-athlete will be permanently ineligible. Yesterday college football fans were treated to what has become a national holiday, Signing Day. 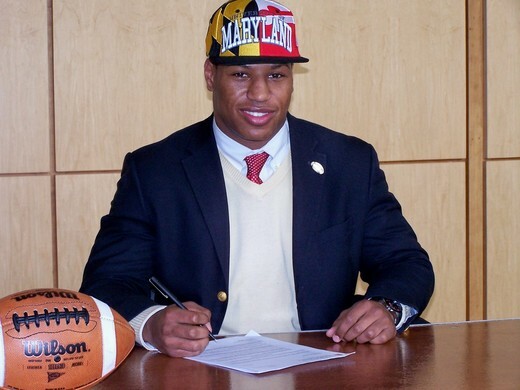 February 1st marked the first day that a high school senior football student-athlete could sign a National Letter of Intent (NLI) to play collegiate football at an NCAA member institution. The NLI program, which is managed by the NCAA Eligibility Center and governed by the Collegiate Commissioners Association, does not just include football but includes all NCAA sponsored scholarship sports. NLI membership includes 620 NCAA Division I and II member institutions. Ivy League, service academies, NCAA Division III, NAIA, prepatory and junior colleges are not part of the NLI program. The impact of signing an NLI is the prospective student-athlete agrees to attend the designated college or university for one academic year and the selected institution agrees to provide athletics financial aid to the student-athlete, provided he/she is admitted to the institution and is eligible for financial aid under NCAA rules. 1. Voluntariness: While signing the NLI is voluntary, virtually all NLI member institutions strongly encourage prospective student-athletes to sign. Prospective student-athletes need to be aware of the obligations that come with signing an NLI and the ramifications that may come with not signing an NLI. 2. Penalties: The basic penalty for not fulfilling the NLI is to serve one year in residence (full-time) at the next NLI member institution and lose one season of competition in all sports (not just the sport the NLI was signed in). 3. Coaching Changes: A prospective student-athlete is signing an NLI with an institution. A coach leaving the institution in which the prospective student-athlete signed the NLI does not release the prospective student-athlete of the NLI's obligations. Further reading on coaching changes and both prospective and current student-athletes can be found here. 4. NLI Declared Null and Void: An NLI signed by the prospective student-athlete does not mean it will necessarily become binding on the institution. An NLI can be declared null and void for the following reasons: (1) the prospective student-athlete was denied admission to the institution; (2) the prospective student-athlete does not meet NCAA, institutional or conference eligibility requirements; (3) the prospective student-athlete does not enroll at the institution for one year after he or she signed the NLI and the scholarship is no longer available; (4) the prospective student-athlete serves in the military or on a church mission following the signing of the NLI; and (5) the sport in which the prospective student-athlete signed on to play at the institution is discontinued. Over the course of the next two months, the high school class of 2011 will begin to arrive on collegiate campuses across the United States. During the transition to life as a college student, these first-year students will deal with many issues including homesickness, more challenging class work, making new friends and becoming increasingly independent. First-year student-athletes will deal with many additional issues, one of which is NCAA rules compliance. In light of this, here are five NCAA Bylaws all incoming collegiate student-athletes should review before arriving on campus. 1. Student-athletes or his or her relatives or friends may not receive a benefit not expressly authorized by NCAA legislation (NCAA Bylaw 16.02.3). 2. Student-athletes shall not engage in unethical conduct (NCAA Bylaw 10.1).